"I think that every beatboxer should practice an instrument such as keys or guitar (in my opinion preferably keys) for at least a year or two years. It will help the beatboxer develop a sense of tone and understanding of harmonics and scales in a way they probably need to be a good musician. I’m curious to hear your opinions about this?" The replies I received from beatboxers were mostly from those who indeed played instruments and felt that this greatly helped them as a beatboxer. These replies motivated me to write this article. Let me be very clear. I'm not claiming that everything I say is the truth. This article simply expresses my view on things and how practising an instrument helped me a lot in my music career. My hope is that it will help you just as much! 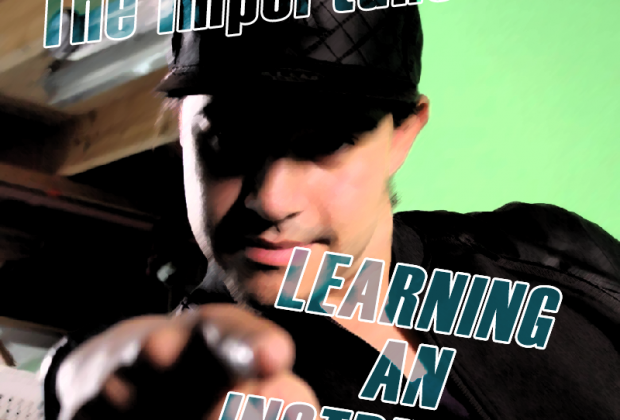 Before I move on to why I feel that learn to play in an instrument helps you become a better beatboxer, let me first tell you about my own musical background. My very first instrument was a keyboard. This goes back to when I was only 6 years old. As soon as my parents and I discovered that I was quite good at it they decided to give me lessons. I have to say that my parents were never pushy. They organised lessons mainly because I liked it! I stayed in a class for two years. When I was 11 years old I started singing and two years later beatboxing followed. Today, I’m a fairly skilled beatboxer, more than fairly skilled at singing, decently good at piano and (I think I can say this) quite a skilled looper. Feel free to check out my youtube channel www.youtube.com/ibarramusic to see what I've achieved and decide for yourself wether this if true or not. If you do please check 'My Music Corner Sessions'. I'm telling you all this because I feel that being a musician gives me some credibility. I have the skills and knowledge to back up all the stuff that I'm talking about. Now... Back on topic! I feel that in the last few years, our art form has evolved beyond its previous limitations. Where technical difficulty first formed the main factor for judging a beatbox performance, we now see that the way in which we are judging beatboxing is changing. 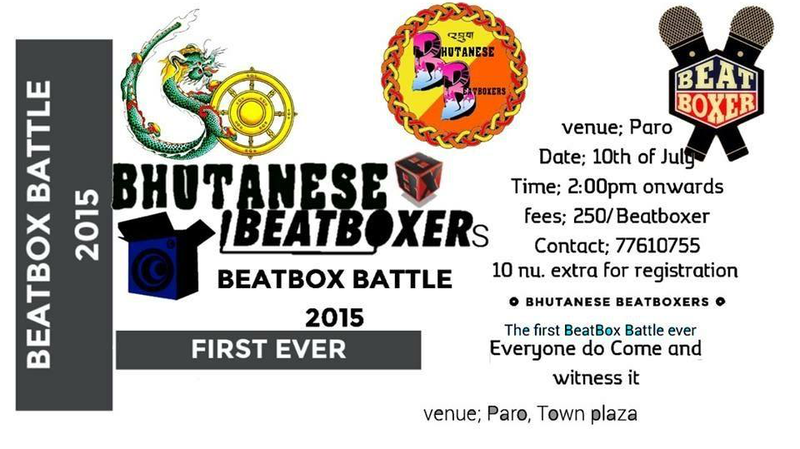 When I say judging, I'm not just talking about how a jury determines the outcome of a beatbox battle. I’m talking about the overall way we beatboxers look at one another and decide for ourselves how good we think a beatboxing piece is. Aspects such as (song) structure and musicality are becoming more and more important to the point where a less technical beatboxer will gain great recognition if musicality and structure are on point. The result is that beatboxers worldwide are moving towards aspects of music that up until now have been unexplored areas. This means we also need a new approach to developing the art form. In the same way that spoken languages across the world have rules that enable people to communicate more effectively, music also has rules. These rules enable musicians to communicate music more effectively. Following musical rules makes the music more interesting and pleasant to listen to. Just as we all use words to describe a story on paper to make sure some one else can immediately understand our story and tell it, musicians have a notation system to enable music to be shared and communicated. 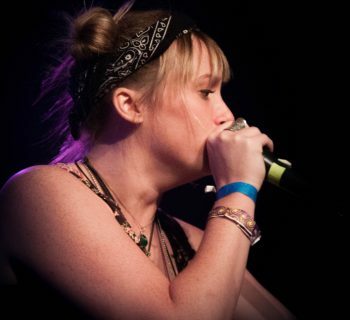 Beatboxers have developed their own language to communicate and share beatboxing. 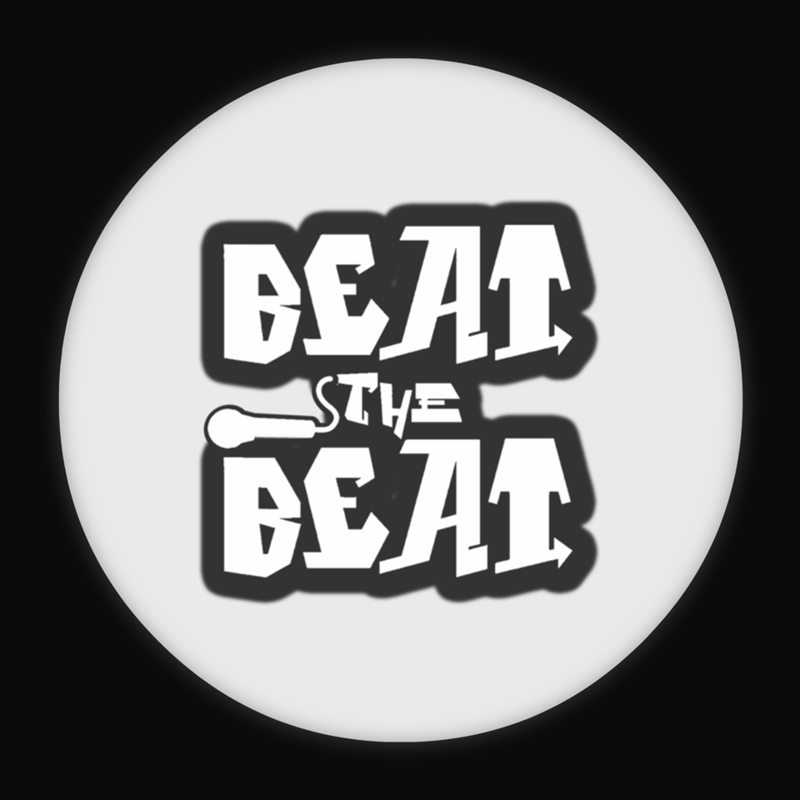 The language we speak as beatboxers is defined by terms such as as "Inward K snare", “lip roll", "outwards or inwards", "oscillation" and so on. Experienced musicians witnessed me communicating with other beatboxers and they have asked, "What? I don't know their language.... What's an inwards drag or an Inward K snare?” As big a bridge as this can be, this is also great of course. The fact that we have completely independently created this way of communicating until a point where it has been workable for all of us is an achievement on it's own! It's something I like to throw in the face of every musician who dares to state that what we do isn't something to be considered as a true art form or instrument. Trust me, I meet these people on a weekly basis. I think other musicians can learn a great deal from what we do and the way we communicate. However, this works the other way around as well. The language/way of communicating and ways of phrasing stuff that other musicians have, such as a "A minor scale", "Arpeggio", "ascending from decrescendo to crescendo", "fundamentals" and so on, are, if you ask me, things a beatboxer should learn if he/she wants to work more efficiently with all the new developments happening in our art form. We can benefit from this exciting knowledge and by making it our own we become more complete as musicians. We should start thinking more as all round musicians! For example, how will you sing a melody and make it sound nice by incorporating the bass notes (fundamentals/ground tones) if you don't even know where the fundamentals are on the scale that you are singing? This is something beatboxers such as Babeli and Gene do a lot. Both of them have the knowledge of scales to rely on when they do this. Gene plays guitar and Babeli plays keyboard. They might even play other instruments I don't know about. The more we start incorporating different and, for us, new aspects of music, such as singing scales, shaping sounds, moving towards more interesting drum patterns and trying out different genres overall, the more we are going to need the existing knowledge there is on these aspects to make all these tools workable for us. I'm now going to give the most clear example I can think of to show how your of knowledge in an instrument helps you define and and create stuff. The piece I'm going to use for this is a piece that we all know and love and is known for it's great musicality. What do you like about this? What makes it so musical? Lets analyse this. First of all the melody is catchy and sticks in your head. The melody feels logical and most of all it sounds exactly the way you want it to sound and you wouldn't change a thing about it. I’m now only talking about the melody and not the shaping of the sounds used to make this melody. Why does this melody make sense to you and why does it feel logical? Because you have something to refer to as you are listening to it. Something that helps you find shape and logic in all the things happening in this routine. Namely, the bass notes. In 'beatboxing' terms, the bass notes in this routine are the lowest tones created with the voice and by outward oscillation. The bass notes are also called fundamentals or ground notes. They have this latter name because they form the standing ground for every other harmonic and melodic progression happening else here in the routine. Consider them the foundation upon which the rest of the melody and harmonic structures rely on to sound good. The bass notes are the red line in the harmonic structure (which in this case isn't so much a harmony as a chopped up harmony with the individual notes used to create a melody). Without this red line the melody loses every piece of logic and sense. Change these bass notes and the whole routine changes 180 degrees. Change the soil, the foundation and ground upon which the rest of the harmonics/melodies rely and the whole view of this building changes. Change it for the worse and the whole building collapses. It is safe to say that the base notes define the vibe of this routine for more than 50%. Wether Gene was actively aware of this and actively incorporated this knowledge into his creative process at that moment I do not know. I assume he was but that's speculation of course. Fact remains that his ability to find and place these bass notes comes from so much more than just beatboxing. While doing my homework on researching this guy (long live Facebook) I see that this guy studied at the Berkeley College of Music and I know for a fact that he plays at least one instrument, namely guitar. It's safe to conclude he has a fair amount of knowledge regarding all mathematics in music to rely on, enabling him to either sense and hear these bass notes without the direct need of an instrument, or find them on a guitar or keys. And thus helping him making awesome routines like Jigsaw. I probably could find so many more examples of beatboxing artists who have mastered these concepts until a point where they can incorporate them into their creative process. I haven't even talked about loopers! I probably also could dive way deeper into all these concepts than I've done until now. I could start talking about the complete structure, sound shaping and what chords the individual notes would make together in the Jigsaw routine. I'm not going to do that now because I think I have made my point and I want to finish this with a clear personal conclusion. Also, my aim with this article isn't to lecture about mathematics in music, as much as showing the importance of it for us as beatboxers. So here's my conclusion. The current developments in our scene have led to me feeling the need to write this article. Our art form and scene is taking a turn towards a more mature and complete form of making music and judging that music. My aim with this article is to create an awareness that, while we move towards more advanced and complicated forms of creating and judging, it is important to stay open-minded and allow yourself to take in as much of the additional knowledge that comes along with these developments. Learning a musical instrument is the best and also the most fun way to do so!